On the day of your driving lesson, please bring your driving licence. If you don't have one, you can apply for one by clicking here. Alternatively, you will be able to get a application from your local post office. You need to be able to read new-style plates 20 meters away and 20.5 meters away for old-style plates. You will also need to do this on the day of your practical driving test. Failure to do so, the test will not be conducted and thus your test will be cancelled and fees will be lost. A computer based car and motorcycle multiple-choice test that lasts for 57 minutes with the pass mark being 43 out of 50. After the multiple-choice part, you can choose to have a break of up to 3 minutes before the hazard perception part begins. This part of the test includes computer based video clips with the pass mark (for cars and motorcycles) being 44 out of 75. Results will be given for your theory and hazard perception test at the test centre after taking it. You get a pass certificate if you pass your theory test. You'll need this when you book and take your practical test. Your theory test pass certificate lasts for 2 years after taking your test. 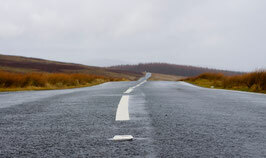 You'll need to take and pass the theory again if you have not passed your practical test by then. For 'show me, tell me' questions click here. The driving part of your test lasts about 40 minutes.Throughout the test, your examiner will be looking for an overall safe standard of driving. If you are taking an extended test pass because of a driving disqualification, test will last 70 minutes. 2. 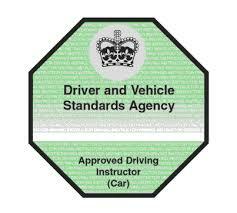 The Student’s tutor will be a fully qualified ADI on the Driver & Vehicle Standards Agency (DVSA) register of Approved Driving Instructors. 3. The Student’s tutor will adhere to the DVSA’s Code of Conduct. 5. The Student’s training period will last a minimum of one hour. 6. The School is not responsible for lesson cancellation due to mechanical breakdown, but will endeavour to find a replacement vehicle as soon as possible. 7. The School will reserve the right to terminate a training period or course if it suspects that the Student is under the influence of alcohol or drugs. 8. The School will terminate the course if the Student continually cancels appointments. Any monies outstanding will be charged for at the current rate. 10. The School also reserves the right to refuse the use of the training vehicle, if a test booked by the Student clashes with one that has been booked via the School. 11. All Students must be in possession of a current provisional, full or other UK driving license entitling them to drive the training vehicle. By Agreeing to The Terms and Conditions , the Student confirms that there are no physical or other disabilities or impediment affecting the Student’s ability to drive and that no medication or other treatment is prescribed or being taken by the Student which may impair or otherwise affect the Student’s ability to drive or that such information has been disclosed to the tutor and the DVLA. The School may require further information to ensure that training may take place. If the Student has to cancel an appointment for any reason, the School requires 48 hours notice. Failure to adhere to this, the Student will be charged the full amount that was booked. The Student agrees to the Terms and Conditions as laid out above. © 2019, Shalim's School of Motoring - All rights reserved.